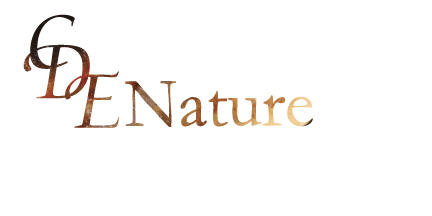 Nature In Winter was posted on December 14th, 2017 at 2.52pm and is filed under Uncategorized. This entry has no comments (yet). You can follow any responses through the RSS 2.0 Feed. 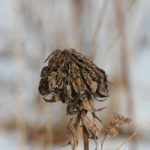 As winter sets in, there is much to find and see in the out of doors. 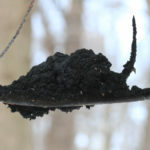 In this entry I will point out some of last summer’s left overs from birds and insects, as well as current overwintering forms of insects and animals. 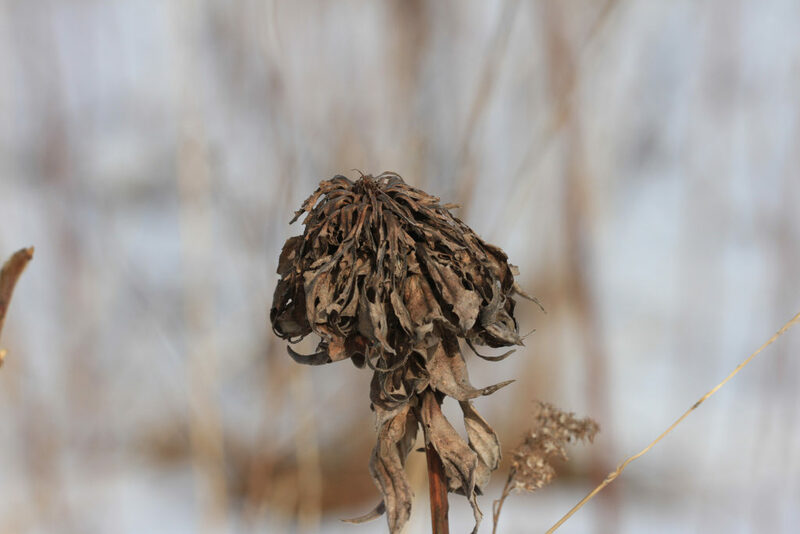 All is not as dead as it may seem when looking out over a field or marsh with the brown plant material left from last summer’s growth. Most all animals in Michigan do not truly hibernate. Most can or due awaken during the winter with some being very active. Look for the large, rounded leafy nests in trees, these are winter shelters for the Fox Squirrels. 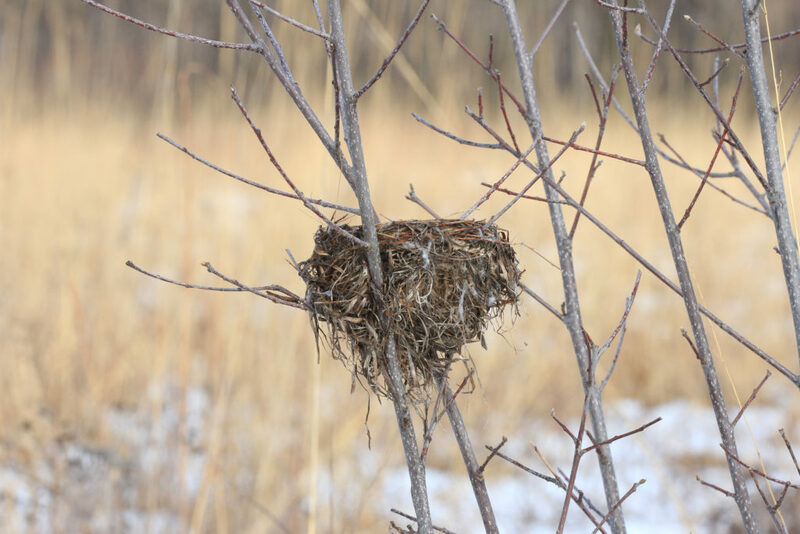 Squirrels cut stems with leaves in the fall or late summer and make these nests which are actually leafy twigs stuck together to make the shelter. Screech Owls and some other birds may take refuge in a hollow of a tree or large bird house. 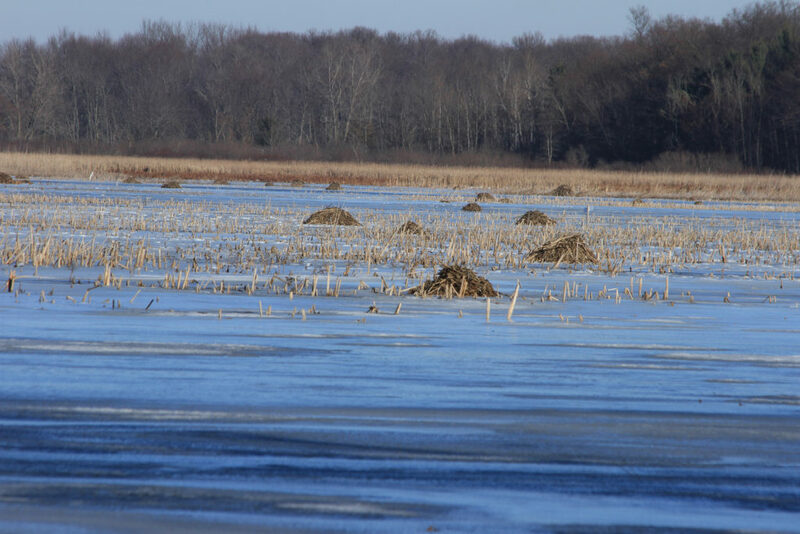 Beaver and Muskrats make mounded “lodges” of plant material where they eat and shelter from the cold weather and predators. 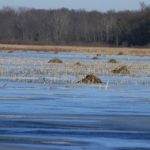 As seen in the photo, Muskrat lodges or “houses” as I used to call them, are fairly easy to see in marshy areas ounce the cattails begin to go down in winter. Muskrats will also use dens in banks along streams or ditches. Other animals are active in winter and it is easy to find their tracts in the snow, especially in the woods and along streams. 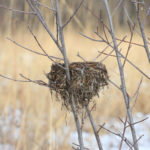 Winter is a great time to look for last summer’s bird nest. With the leaves off of the trees and shrubs, it is much easier to find them. 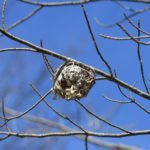 Look up along roads for the hanging woven Oriole’s nest. Many species of birds, including Red-winged Blackbirds make nests that are low, below, at or near eye level, making them easy to see. 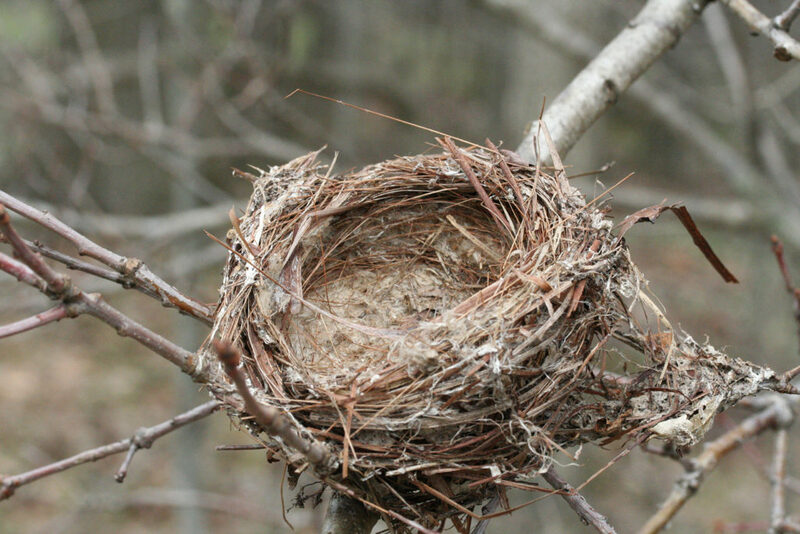 Take a moment to look at the materials and structure of the nest. Look inside and out, how is it attached to the plant? 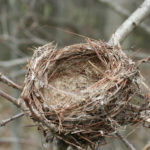 How high off the ground and in what species of plant; these are all clues to help identify the bird that made the nest. 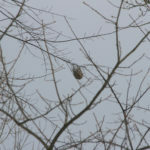 Look for woodpecker holes in trees. The size and shape will help identify the maker. Insects over winter in various stages, depending on the species. Some as eggs, just hatch larvae, fully or nearly developed larvae, pupa, cocoon or chrysalis or as an adult. 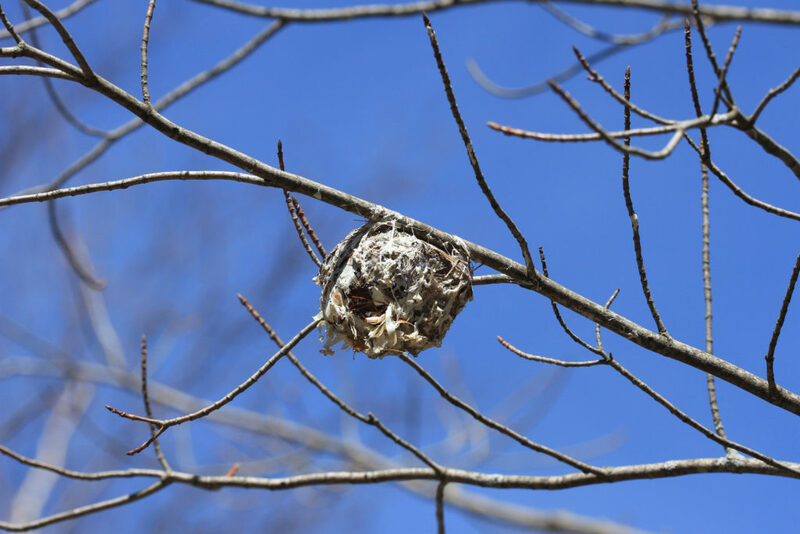 Large silk moth cocoons can be found attached to plant material including tree branches from a couple of feet off the ground and upwards. 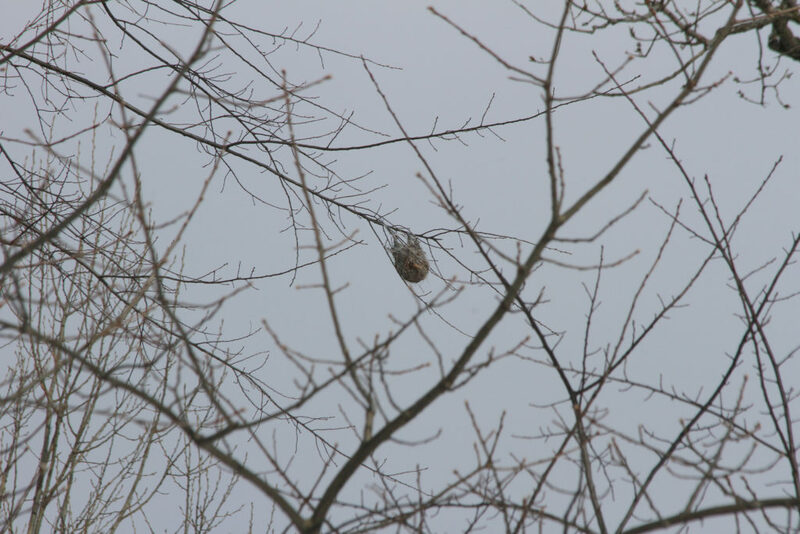 Look for tent worm egg masses on cherry twigs. 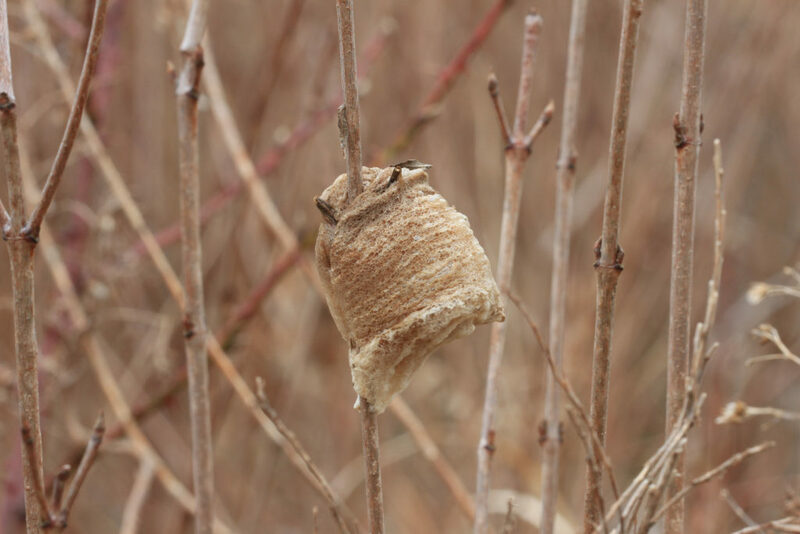 Praying Mantis egg cases are easy to sight attached to plant material. 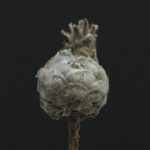 The large egg cases like the accompanying photo are Chinese Mantids. We do not have any native species here in Michigan. 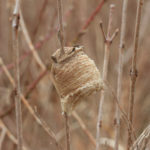 If you decide you want to bring home a cocoon or egg case, don’t bring it inside the house. It is warm and things with hatch too early and die as it will be to cold and not food if you release them outside. I leave them in an unheated garage and the timing is usually pretty close to normal. Just don’t forget about them. 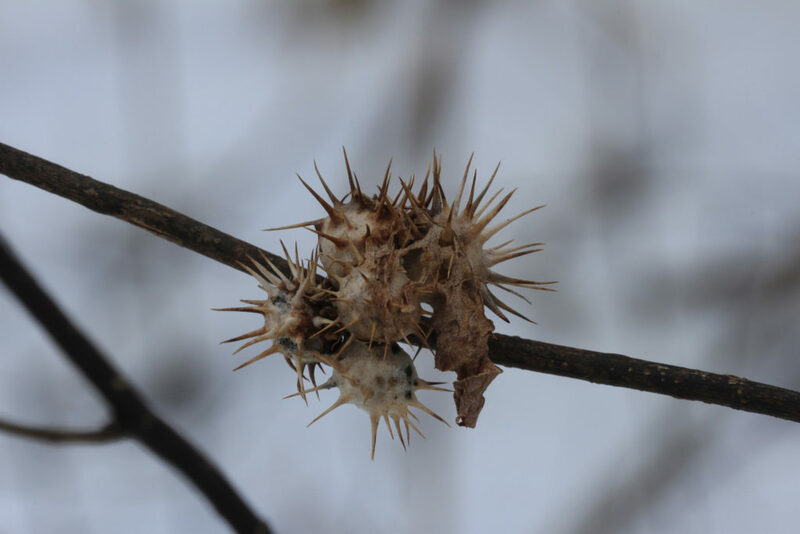 Winter is a great time to see how many different galls you can find. 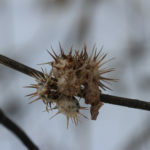 Each gall is unique to the insect that causes it. 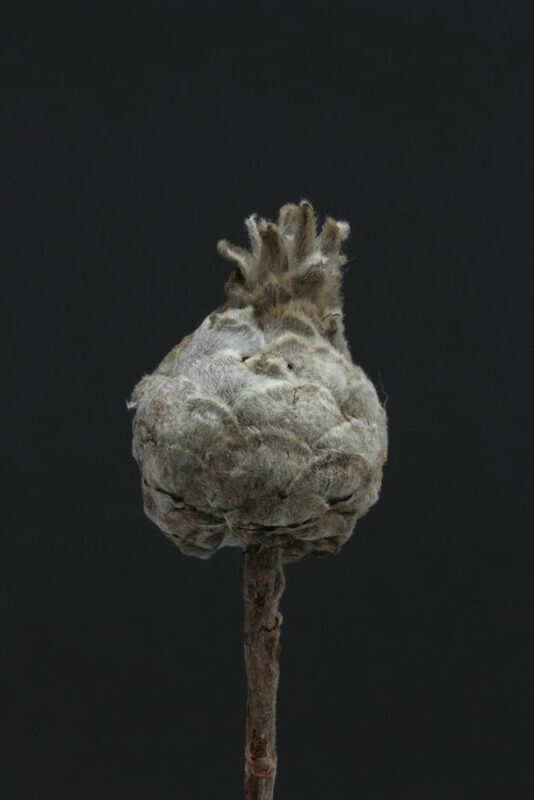 With around 1500 insects that cause galls in North America, they are so precise as to the gall form and the species of plant, that the insect can be identified or nearly so without the actual insect. 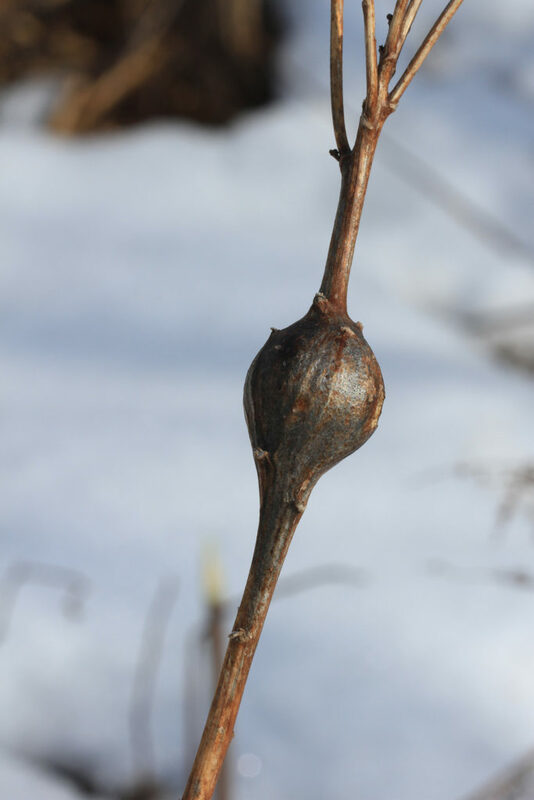 As with the bird’s nests, galls are fairly easy to find in winter. 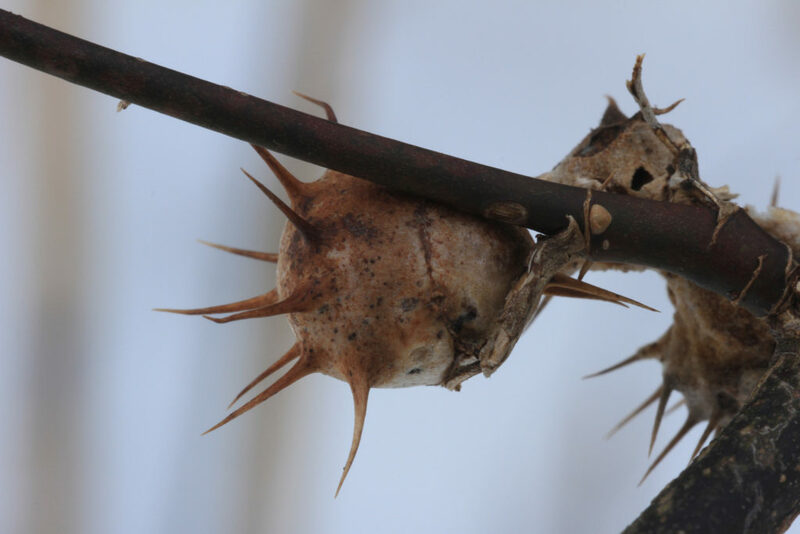 Although you will be looking for those that are usually stem or bud galls, galls of some kind can affect nearly all parts of plants. 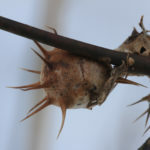 Depending on the gall and insect species, you can often find a larvae or pupae inside the gall. Some do hatch in fall and have likely already laid eggs for next years generation. 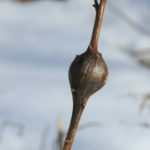 Galls come in all shapes and sizes, I have only shown a few more common ones here. 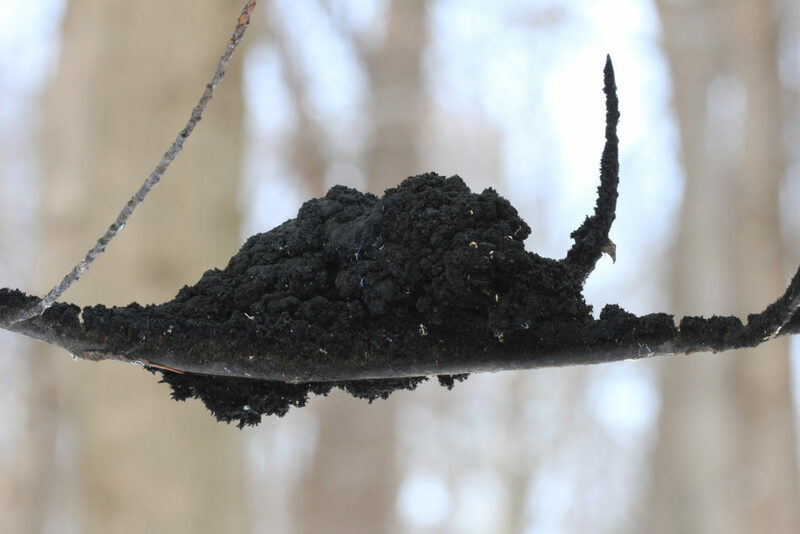 If you find a hard, black mass surrounding cherry twigs, it is known as Black Knot Fungus. Some years it is more common than others. Another black mass that looks similar but found on American Beech twigs is Black Sooty Mold. This is a mold that grows on the “honey dew” of scale insects and remains visible through out the winter and into the next spring or summer. It does not harm the tree. Now that winter is here, get out and see what you can find. Look things up to identify them and learn about the world in winter around you. Next time I will share some plants in winter.